Hocknulls Wildfire Isle of Wight. 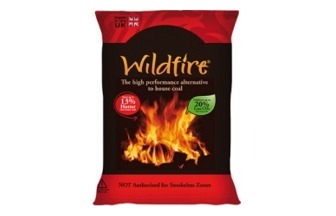 Wildfire is often described as the first supercoal. Using the latest briquetting technology, the company developed this top quality product from specially selected deep mined coal. It offers all the desirable qualities of a household coal but with the consistent performance of a scientifically produced briquetted fuel.